Serve Grant County seeks to connect individuals and churches to organizations throughout Grant County to discover opportunities to serve and restore our community. Finding serving opportunities can be challenging. Our desire is to make it easy by connecting you directly to the opportunities that fit your schedule, passion, and location. Start your search and get plugged into one of the many amazing organizations that make Grant County a better place to live! Serve Grant County connects individuals, churches, and organizations to better serve the community we all call home. Through connections, serving opportunities and partnerships can be formed to amplify the restoration efforts in our community. Our vision is to see Grant County restored socially, economically, and spiritually. 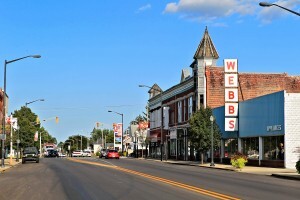 According to The Chronicle of Philanthropy, Grant County is the third “Most Generous” county in the state of Indiana. With the generosity in Grant County, we could maximize restoration efforts if we began working together, united for the purpose of making Grant County a greater place to work, live, raise families, and worship God. There are over 150 churches in Grant County, nearly 100 organizations and close to 70,000 residents. The potential for restoration in our community is great, and the best way to achieve this is by working together, learning from one another, and serving alongside of each other. Serve Grant County is not made up of one church, educational institution or organization. Rather, it is a partnership among the various churches, educational institutions, and organizations that desire to see restoration take place in our community.